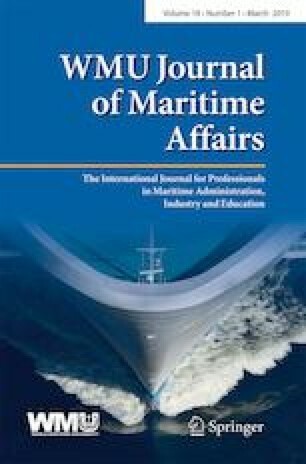 This paper aims to improve port security measures in developing countries via integrating the procedures of incident reporting and the associated follow up investigation, hinging on the Mexican experience. The analysis examined port security at Mexican ports, where stakeholders were interviewed on the subject to identify the challenges and opportunities for security incident reporting, updating of security incident records and facilitation of the follow up investigation. Then, a qualitative security model was developed; under this new framework, incident reporting, incident investigation, the re-assessment of security threats through the Port Facility Security Assessment (PFSA) and the necessary modifications to the Port Facility Security Plans (PFSP) were all integrated. These subjects were all incorporated into a “transparent port security incident reporting tool”. This tool was implemented at all ports in Mexico, where the International Ship and Port Facility Security Code (ISPS Code) applies, by the National Maritime Authority. This demonstrated in a real case through “action research”, the improvement of port security framework in the country. Measurements were executed every quarter throughout the year 2017 and the incident-reporting instrument was adjusted accordingly. The results demonstrated a significant improvement in reporting security incidents, with the increase from absolutely nothing (zero) to 57 providing a strong indicator of success. In addition, 56% of those reported maritime incidents were also associated with recommendations to be integrated into the PFSA and respective PFSP. Collecting accurate and immediate information/evidence material while reporting security incidents is crucial for effective incident investigation and continuous improvement of the PFSP. Code of the International Standards and Recommended Practices for a Safety Investigation into a Marine Casualty or Marine Incident. Diario Oficial de la Federación, in Spanish (Official Diary of the Federation, in English). It is necessary to acknowledge the support of the National Maritime Authority in Mexico, the Secretary of SEMAR, Admiral Vidal Francisco Soberón Sanz, towards the implementation of the incident-reporting tool and access to the setting. Grateful thanks are also appropriate to Admiral Ángel Enrique Sarmiento Beltrán, Under-Secretary of SEMAR, for his willingness to discuss the implementation of the incident-reporting tool, its benefits and opportunities for improvement during the action research study. Many thanks are also appropriate to those participants interviewed at the Maritime Customs Units, Master of Harbors; Port Administration Directors; Port Security Officers; Port Facility Security Officers, Commander of the Navy functioning as presidents of the CUMAR at the visited ports and commander of the UNAPROPs.